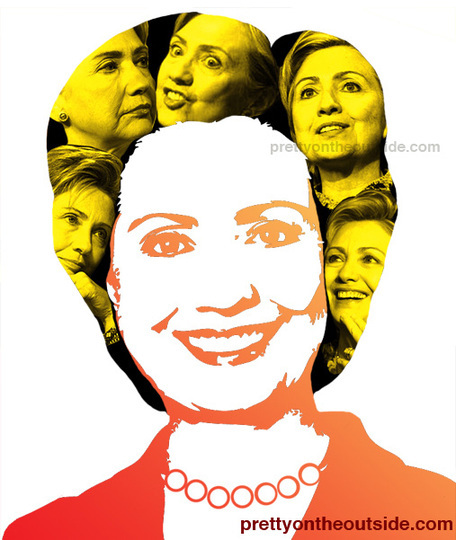 Pretty On The Outside: Hillary Clinton for Sunsilk? Does anyone else find it odd that our presidential candidates are dancing on Ellen, appearing on Saturday Night Live, and worst of all, being interviewed by Tyra? What's next? Will Barack have to appear on an American Idol results show? Will Hillary have to put out a Timerlake/ Timbaland produced track? Please tell me none of those things have happened. I was driving around yesterday and saw a Sunsilk billboard and thought that might a good way for Hillary to connect with voters. Below is an actual ad with Madonna. I think Hillary's ad holds up well against Madonna's. oh come on gilmore ! now you gotta give us the mccain for sunsilk !! How come all the pictures in her hair have 'lady jowls'?? Love the Hillary ad! And I was so floored when I saw these candidates appearing on Tyra's show. Do they really think her audience puts down Vogue long enough to vote?